South Korea’s ousted leader Park Geun-hye has left the presidential palace, two days after the country’s constitutional court upheld parliament’s decision to impeach her, EuroNews reports. Hundreds of flag-waving supporters greeted her as she arrived at her home in southern Seoul. Smiling as she emerged from her car, Park released a statement saying she believed the truth will come out in time. She also apologised to her supporters for failing to fulfil her duty as president. 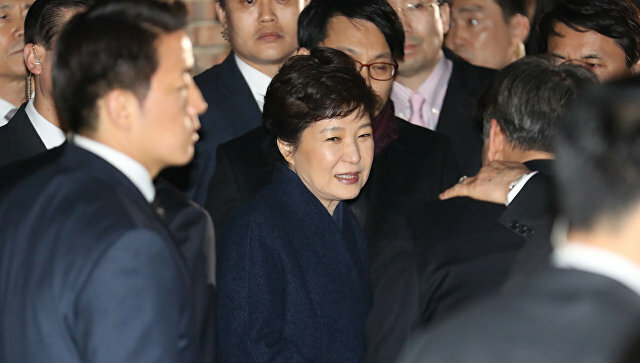 Park’s dramatic fall from grace means she is now an ordinary citizen and could face criminal proceedings and possible jail having lost her immunity. business elite. The former president is accused of allowing her close friend, Choi Soon-sil, to extort millions of euros from firms in return for political favours. She denies any wrong-doing. Live TV footage broadcast Park’s motorcade leaving the Blue House flanked by police motorbikes. A snap election to find a new president will now be held on the 9th of May. Earlier on Saturday evening, thousands of protesters gathered in Seoul for a candlelit rally to celebrate Park’s removal from power.